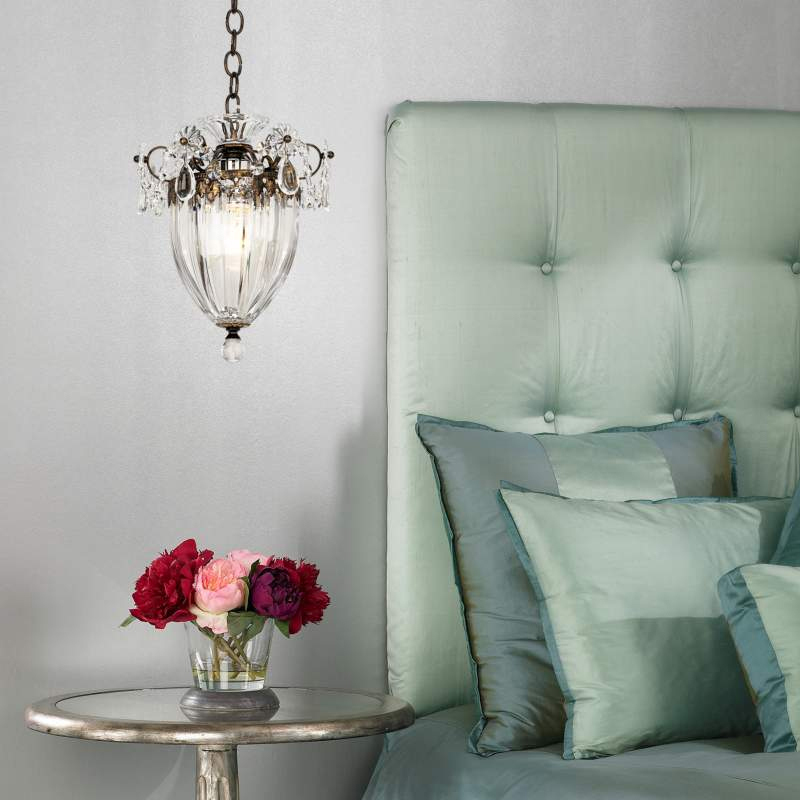 Suspension lamp from the Bagatelle collection. 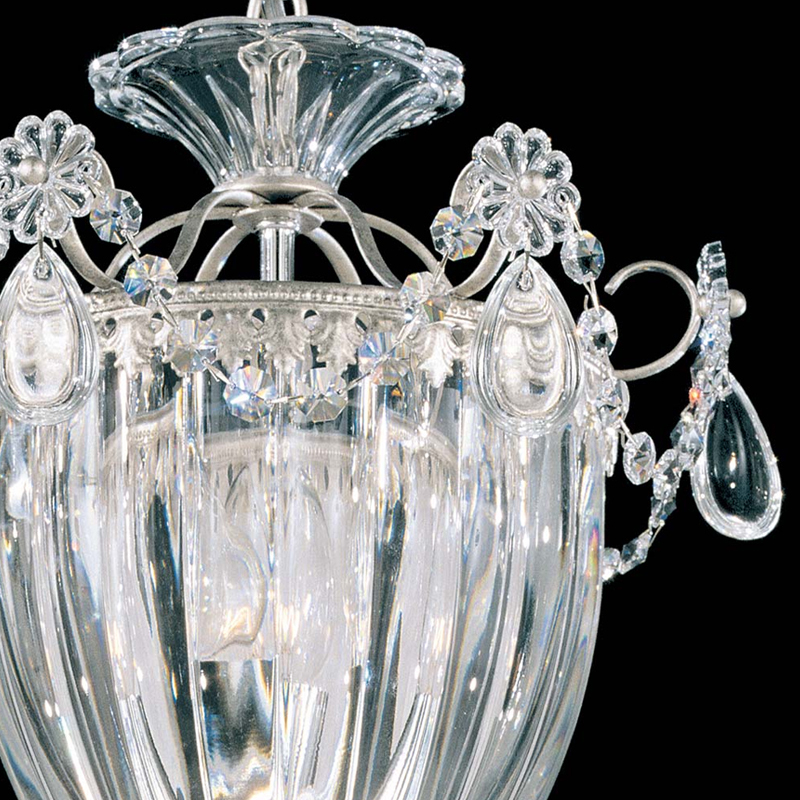 A plafond made of transparent crystal. 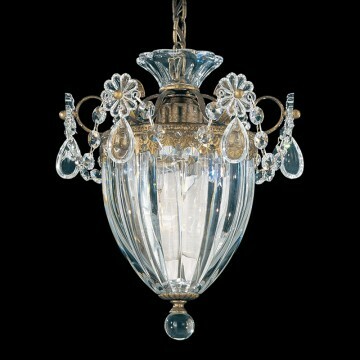 The color of the armature is silver, transparent pendants with crystals of Heritage Handcut. 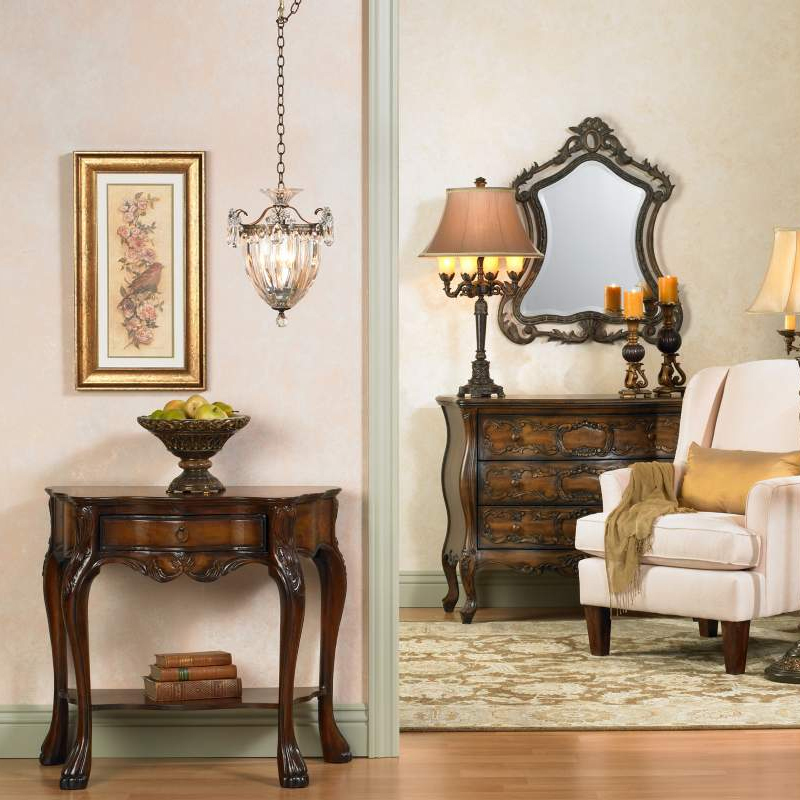 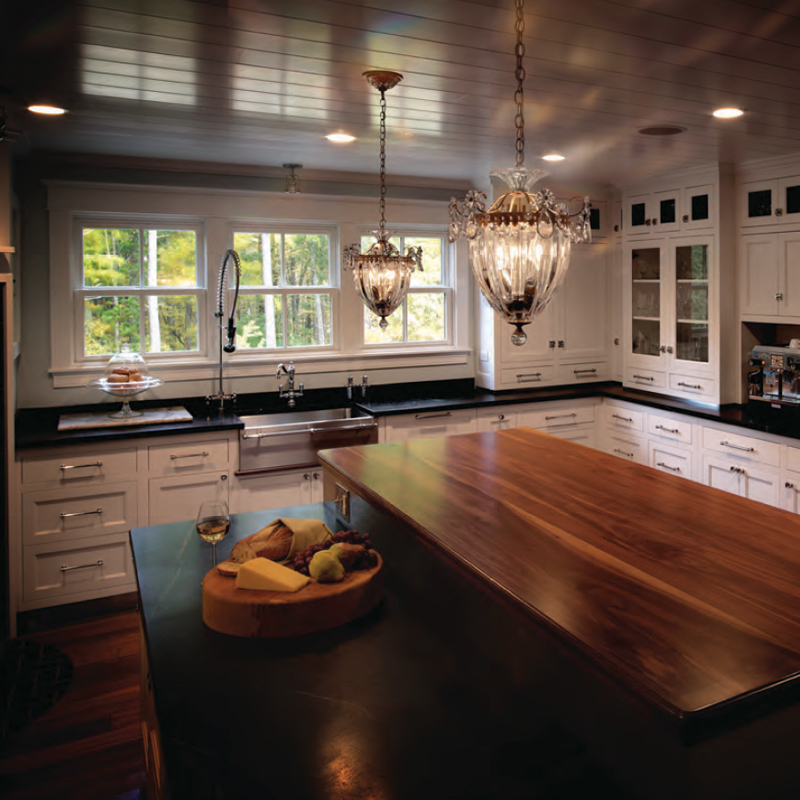 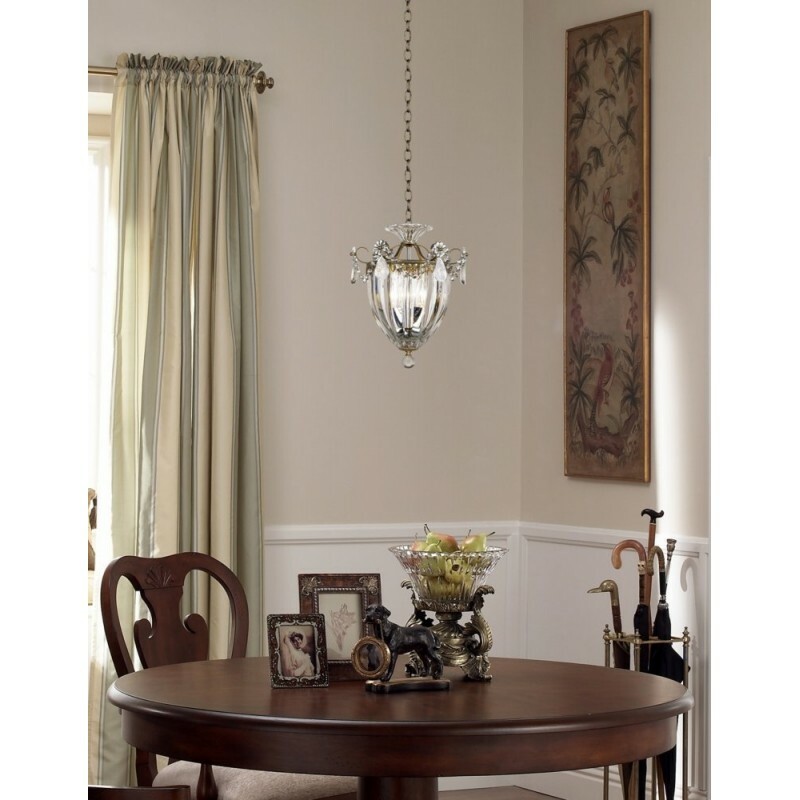 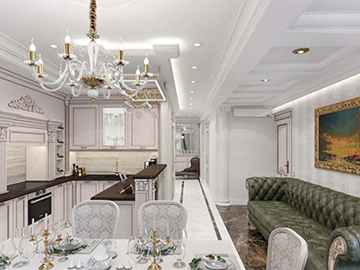 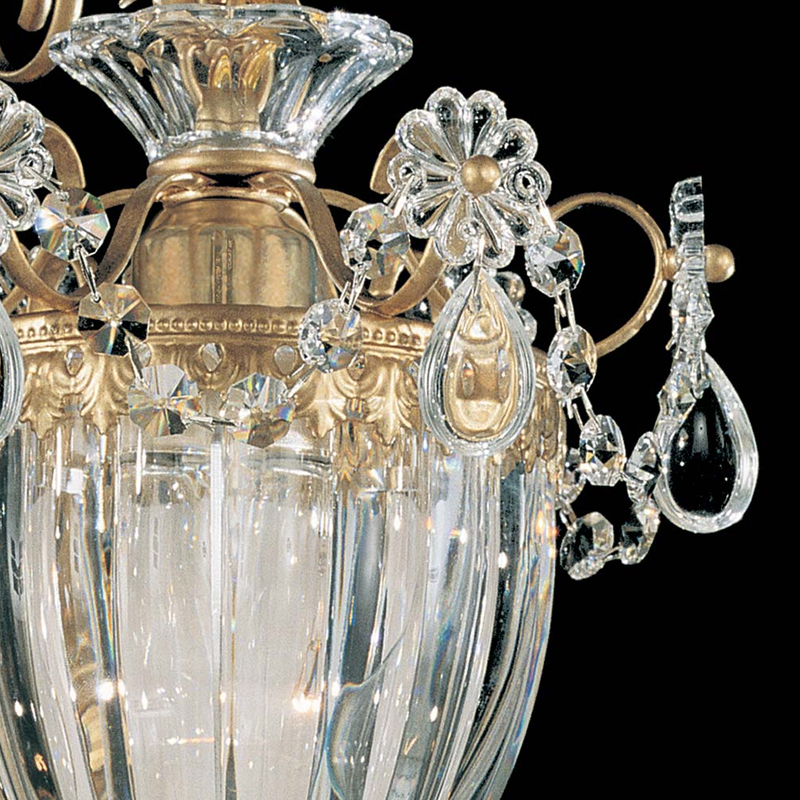 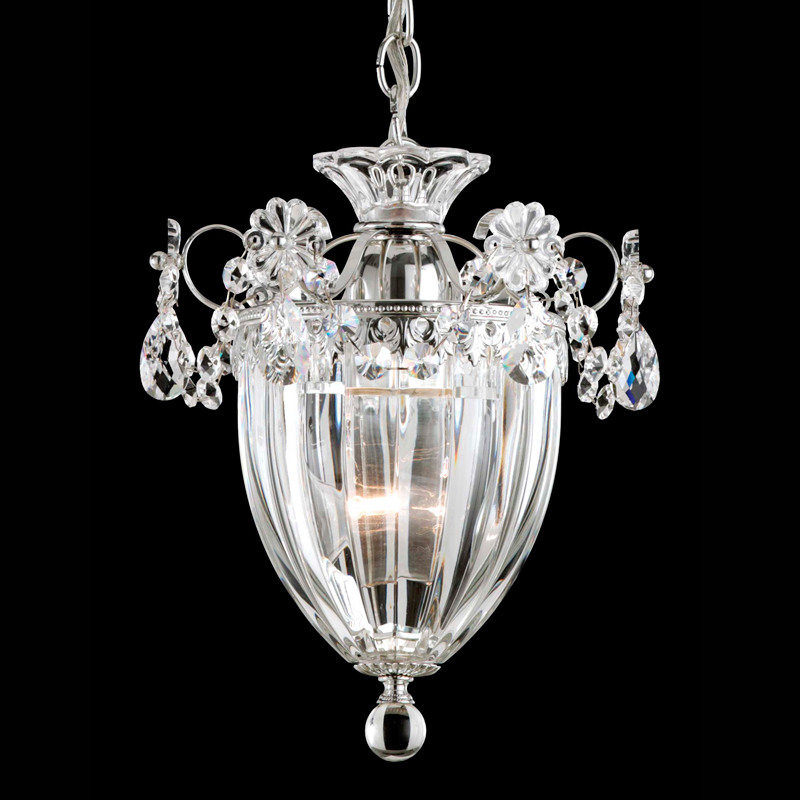 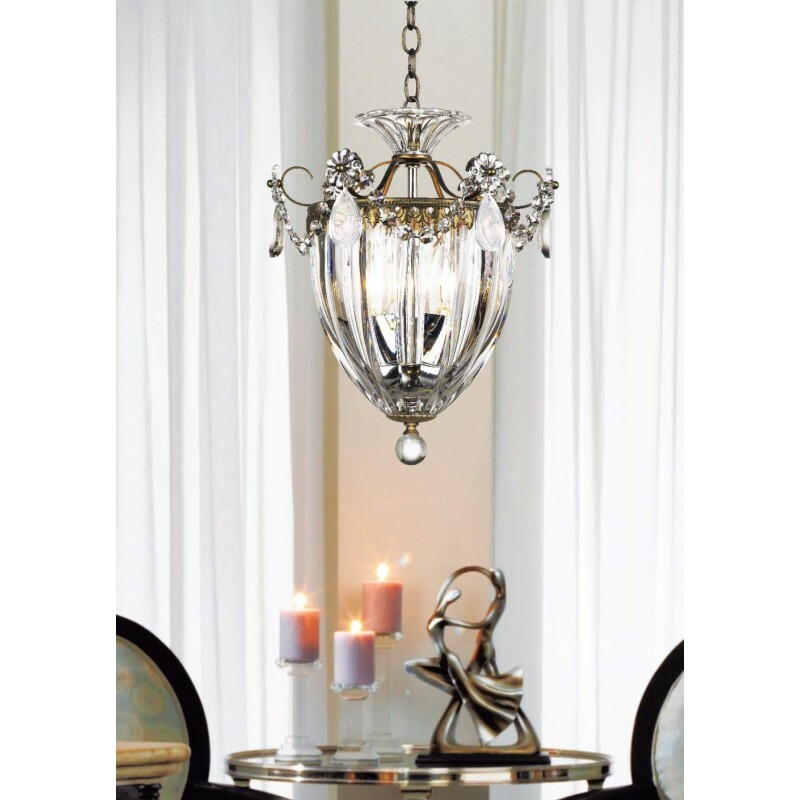 It is possible to adjust the height of the chandelier by the links of the chain.